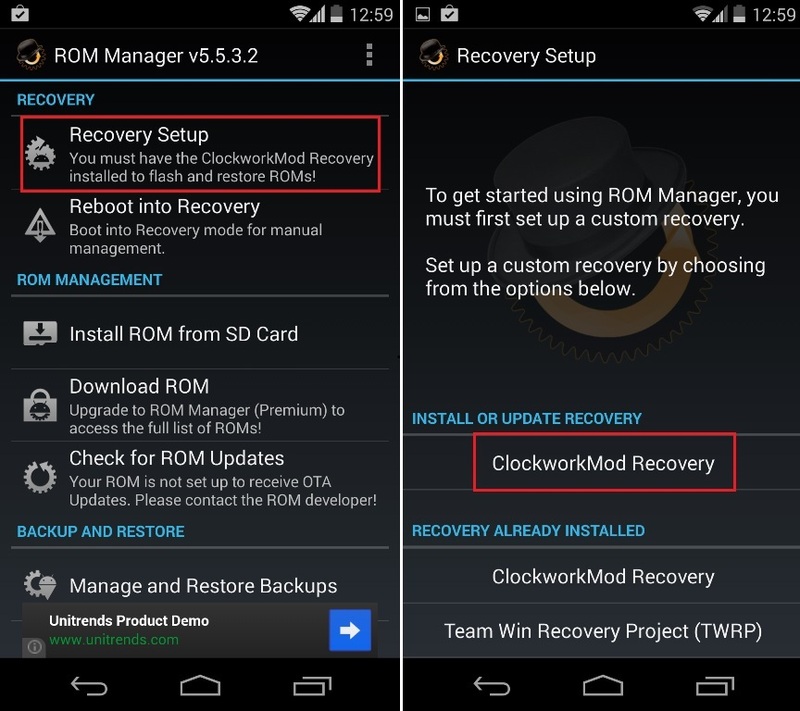 CWM Recovery or Clockworkmod Recovery on one of the most powerful tool for rooted android users to flash and install custom ROMs. With the Custom Recovery you can take the full backup of your Android system and save then in some safe place. Once the CWM recovery in install on the Android smartphone or tablet you can do lots of task on your device like install custom ROMs, Install Mods, Flash Zip files, Backup and restore your device. If you are new to the android and have the rooted device and want to install the recovery on your device. Here is the complete which allows you to install the custom recovery on your device. NOTE:- You need to know that not all the devices are being supported by the official CWM recovery tool. So, first make sure that your device is in the CWM recovery support list. To follow this guide you need a rooted device, you can find lots of rooting guide on hotorootmobile.com website. Please follow this guide at your own risk. We and CWM developers are not responsible if your device gets damaged or bricked during the process. Step 2. Now run the ROM Manager app and open it on your android device. Step 3. On the main screen of the application you will see the first option “Recovery Setup” click on it and after that tap on ‘Install ClockworkMod Recovery’. Just tap on it and follow the instructions. Step 4. Now from the next screen confirm your phone’s model. 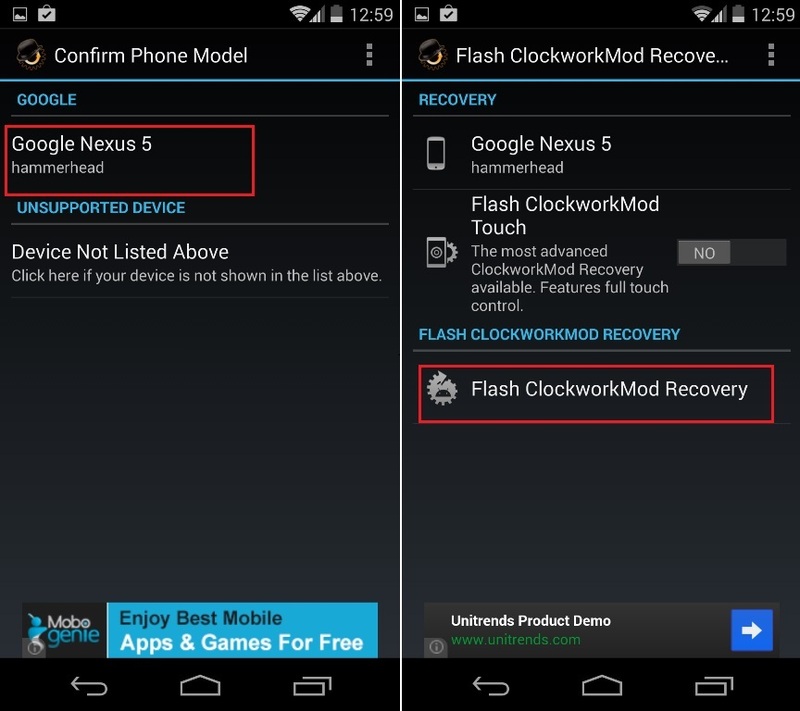 Once the phone model is confirmed, tap on the “Flash ClockworkMod Recovery” from the bottom. Step 5. Now the installation process will start on your device, Select to reboot the device if it prompts you to. That’s it! After the reboot you can enjoy the CWM recovery on your android phone. If you had encountered problems while trying to install the custom recovery image, contact us.